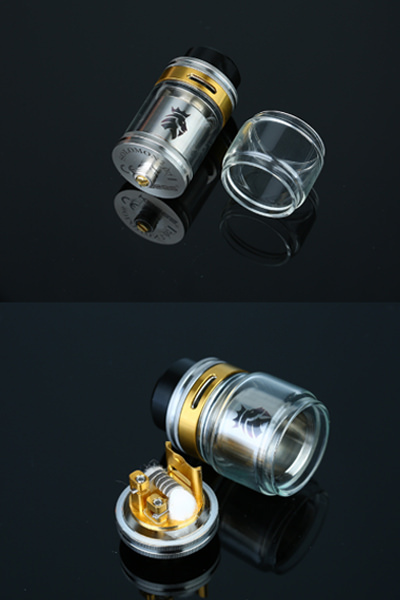 As an updated version of KAEES Solomon RTA, the KAEES Solomon 2 is an innovative leakproof RTA tank with 5ml large e-juice capacity (a 3.5ml extra glass tube included) and 24mm diameter. With the top adjustable airflow control system, the Solomon 2 RTA can effectively avoid oil leakage and bring intense flavor. Moreover, the KAEES Solomon 2 also features an 24K Gold Plated build deck with super conductivity for easy single coil building with various wires. 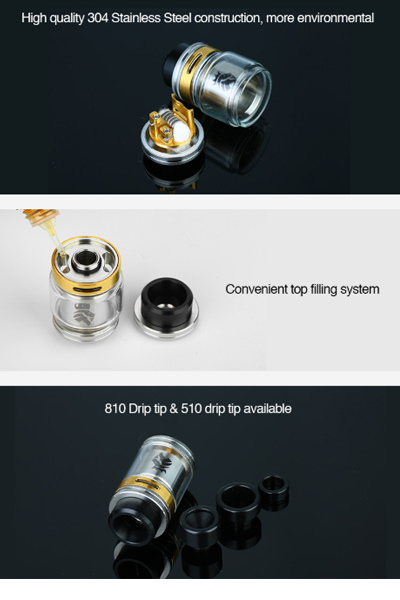 Together with high quality 304 stainless steel construction, easy top filling and optional 510 & 810 drip tip, the KAEES Solomon 2 RTA is definitely an excellent vape device!